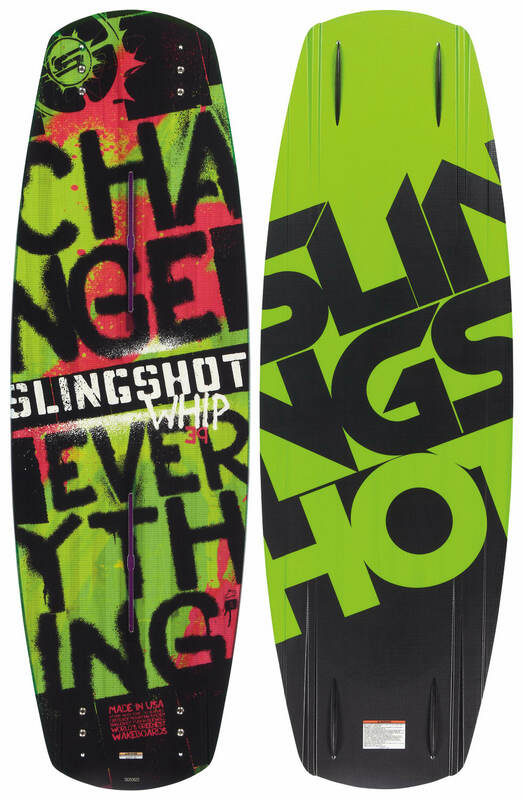 Trust your riding to none other than the Slingshot Whip Wakeboard this season! This Slingshot board has been designed for intermediate to expert level riders who need a ride that matches their all out style. The Whip is built with a unified continuous rocker that minimizes drag and ensures smooth transitions, and an atomic core that has incredible durability for the seasons to come. Also included on this deck is a proprietary fusion rail that provides secure edge hold in rough conditions. 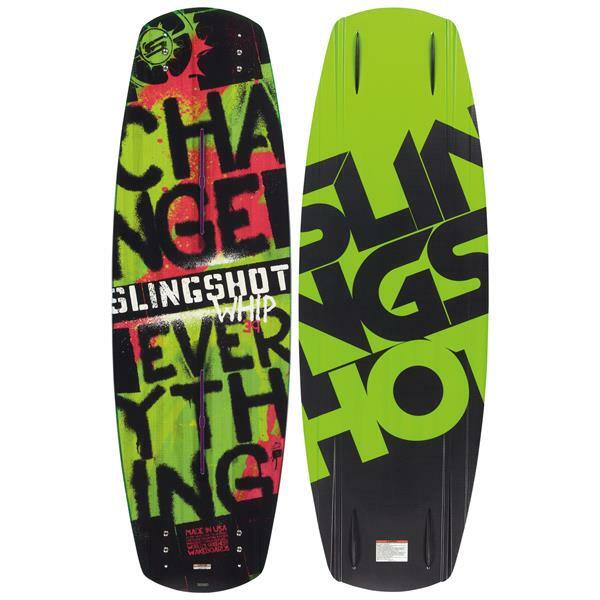 Prepare to take your spot on the podium this season with the Slingshot Whip Wakeboard!